Ankle boots are a year-round fashion-girl favourite and an undisputed staple in winter months. And while it's easy to pair your go-tos with skinny jeans, there are plenty of other ways to work with them. For a look that makes a statement, we urge you to consider pairing your ankle boots with cropped trousers. Yes, the combo can be tricky, but as plenty of It girls demonstrate, the results are fresh and fashion-forward—and there's no better way to show off your favourite boots. 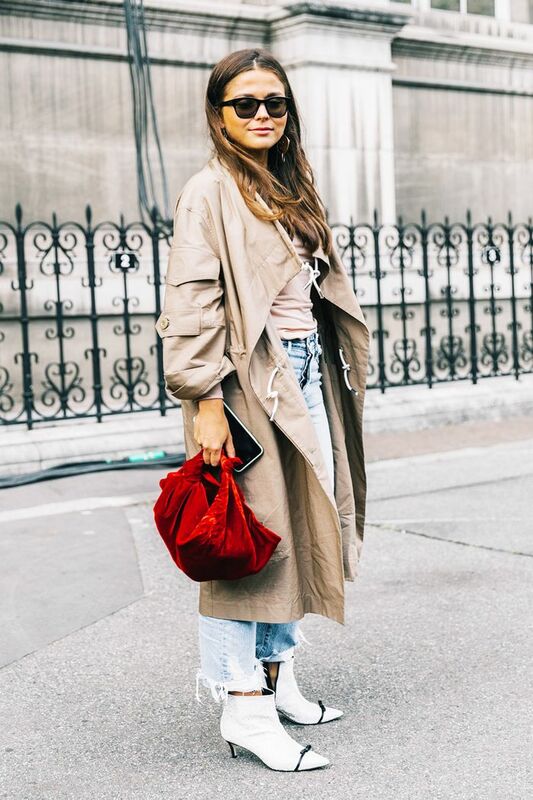 So whether you're wearing cut jeans, wide-leg trousers or leather leggings, consider finishing your look with ankle boots. Scroll through for our favourite looks to copy now. Bright white ankle boots make a statement with light-wash denim. Choose a taller pair of boots that end right at the hemline for a more refined look. Tights can provide a pop of color beneath cropped trousers—and add some warmth in the winter months. Or match your tights to your boots for an elongating effect. The cropped silhouette helps to show off a statement pair of boots. Stick to a neutral colour palette for a perfectly polished look. Black-and-white pieces make for some beautiful contrast that shows off your daring proportions. Pair a playful pair of checked cropped trousers with some silver metallic ankle boots. With a fitted cut, cropped trousers look better when a little bit of the leg is exposed. Your favourite pair of jeans looks even cooler with striking white boots. Or go the traditional route of timeless black ankle boots. Cropped hemlines allow contrasting fabrications to stand out. When in doubt, head-to-toe black makes your cropped trousers with boots combo look instantly classic.